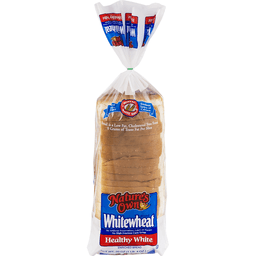 Nature's Own® Whitewheat® Healthy Family® Enriched White Bread. Good source of fiber. Excellent source of calcium. Bread is a low fat, cholesterol free food. 0 grams of trans fat per slice. No artificial preservatives, colors or flavors. No high fructose corn syrup. Whitewheat® bread contains 280mg calcium and 2.3mg iron per serving. Whole wheat bread contains 85mg calcium and 1.5mg iron per serving. Whitewheat® is the original Healthy Family White Bread® since 1991. 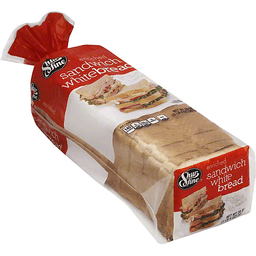 It successfully combines the traditional taste of fresh white bread with the nutritional goodness of wheat. Whitewheat® is the perfect blend of softness and nutrition. With more calcium and iron than whole wheat, and a good source of fiber, Whitewheat® is the bread your entire family will enjoy. Whitewheat® fast facts: No high fructose corn syrup. Good source of fiber. Whitewheat® bread contains 280mg calcium per serving. Milk contains 270mg calcium per 8 oz serving. 2 slices = calcium of 1-8 oz glass of milk. USDA dietary guidelines: The dietary guidelines for Americans encourages all Americans to eat a healthy diet and be physically active. The new dietary guidelines' "my plate" graphic is an easy tool to help you think about food choices at each meal, control portion sizes, and ensure balanced nutrition. The foods you eat greatly influence your health, your appearance, and even your mental attitude. That's why it is so important to get proper nutrition every day. But eating right doesn't mean giving up all the foods you love. It does mean eating moderately and choosing from a wide variety of food groups for a well-balanced diet. Go with the Grain™. Our quality pledge. The bakers of Nature's Own have been baking bread since 1919 and are committed to providing you with the highest quality baked foods. Nature's Own breads are made with premium ingredients that are carefully combined in our special recipes and then baked to perfection in our ovens. If the Nature's Own name is on the package, you're certain to find great-tasting breads inside! Also look for delicious breads and rolls under our Cobblestone Mill brand. Enjoy! From the Flowers family of bakers. To learn more about making grains a part of your healthy diet, go to: www.dietaryguidelines.gov. www.choosemyplate.gov. www.health.gov/paguidelines. Visit us at www.whitewheat.com for delicious recipes. Questions or comments Call 1-866-245-8921. 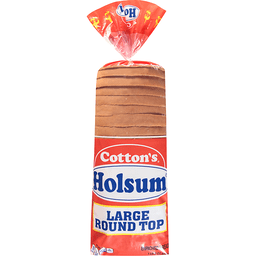 In 1923, Cotton's® bread was introduced in Louisiana by the Cotton brothers, using quality ingredients and simple baking methods. We stick to what we know--baking soft and delicious bread. Our heritage tells a story of quality, commitment and consistency. We are proud to share this with your family. Enriched bread. 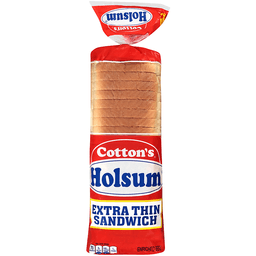 In 1923, Cotton's® bread was introduced in Louisiana by the Cotton Brothers, using quality ingredients and simple baking methods. We stick to what we know--baking soft and delicious bread. Our heritage tells a story of quality, commitment and consistency. We are proud to share this with your family.